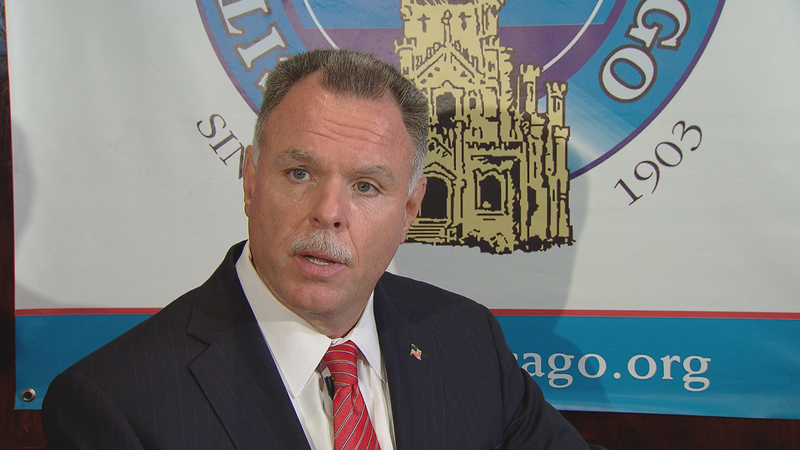 Chicago's former Police Superintendent Garry McCarthy on Monday blasted the city for “going in the wrong direction” on crime. McCarthy made his comments during a speech before a packed City Club of Chicago, in which he blamed the higher crime rate here and in other places across the nation on a political culture that he sees as blaming cops first, and legitimizing non-compliance of criminals. McCarthy was let go in December after the release of the Laquan McDonald video caused major uproar and led to a major shakeup within the Chicago Police Department and a dismantling of the police oversight apparatus. The city had fought the release of the McDonald video for months. When asked whether or not he believes the state’s attorney would have brought charges without the release of the video, McCarthy said that he couldn’t speculate on what Anita Alvarez would or would not have done. McCarthy, who joked about being thrown under the bus, defended his former boss, saying Mayor Rahm Emanuel likely never saw the video before the release and that talk of a cover-up makes no sense. Later in his speech, McCarthy cited a statistic purporting to show that street stops by cops are down 95 percent this year, while murders are up 50 percent. He complained about orders that street stops be more reflective of the demographic makeup of the city, as opposed to disproportionately targeting African-Americans. But he says the stops are not racist, they simply reflect who is committing the crimes. He says about two-thirds of crime suspects in the city are African-American, and about two-thirds of street stops historically have been of African-Americans. And he says the increased scrutiny across the country on police officers and the movement toward civilian oversight of cops has delegitimized policing to the point where criminals are no longer deterred by the threat of police. McCarthy currently runs a private security firm, and acknowledged racism that has historically existed within the police department and the city, saying that it is hard to rebuild trust with the community when trust never existed in the first place. Sept. 13: In a recently published op-ed, Cook County Public Defender Amy Campanelli warns that a “war on guns that focuses solely on punishment” will fail. She joins us in discussion.